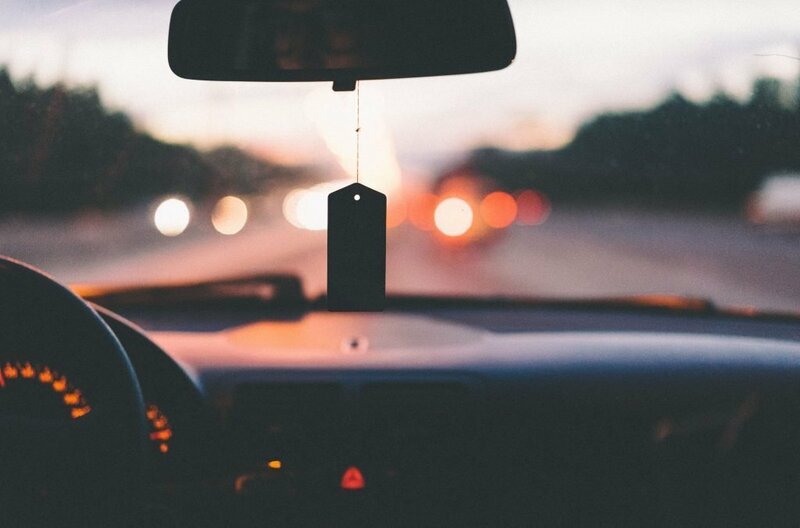 In 2013 the Roads Task Force released a study revealing that there are 2.6 million registered cars in London, with 54% of the households having one. 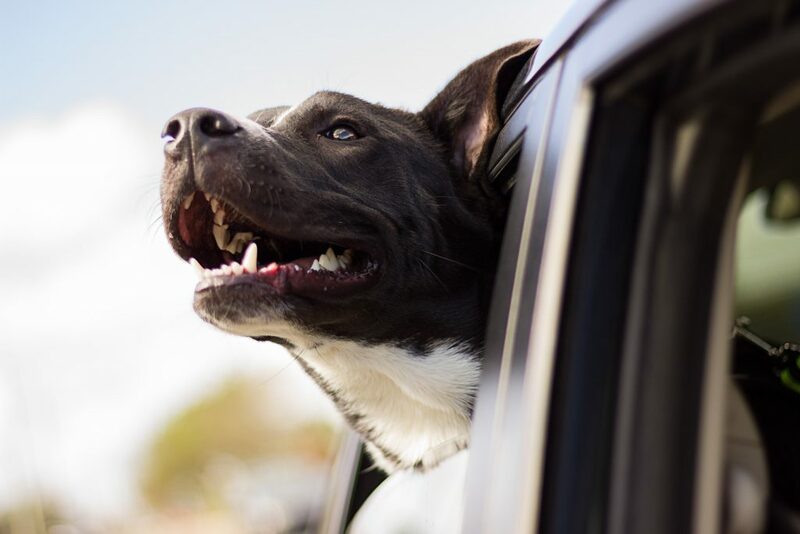 Figures may have changed in the last six years, but if you belonged to the remaining carless 46% households or do now, it will be useful to know your dog-friendly car hire options when you need it. Living with a dog in London without a car is easy thanks to the great public transport network, but there are times when you may struggle to get somewhere which is not that well connected. If I think about some of our trips out of London in the countryside, especially at dog training courses, we faced long journeys with many changes and long walks to reach our destination, which presented some challenges with luggage and bad weather in some cases, and a car would have definitely made our journey easier. We found ourselves hiring a car for day trips, as well as for a long cross-border holiday last year (you can find more about our French destination in this post), so we spent some time researching the topic. Below you will find a list of several car rentals with their pet policies. We also put together a table summarising the conditions for bringing a pet on board, as some companies require pets are restricted in pet carriers at all times, others require prior authorisation, all of them apply a cleaning fee in case the car is not returned in pristine condition. There are obviously more things you should check when hiring a car, ranging from from whether you need a credit card, to the applicable excess, insurance cover, deposit, cost for additional drivers, deposit, hidden fees, and, in case you want to travel overseas, whether you can cross the border (there is generally an additional charge for this we tell more about at the bottom of this post). If you are looking for a quick hire, there are also a number of car-sharing options, either with their own fleet or peer-to-peer. We have looked also into these alternatives to tell you what services you can use with your canine friend. But let’s start with the traditional car hires. Interrent ✘ n.a. n.a. n.a. n.a. n.a. International travels: You can travel overseas with your hire car taking a mandatory continental cover (charges and conditions here). Sixt allows you to bring along any pets in your hire car “as long as you maintain the cleanliness of your rental car and clean up any mess”. 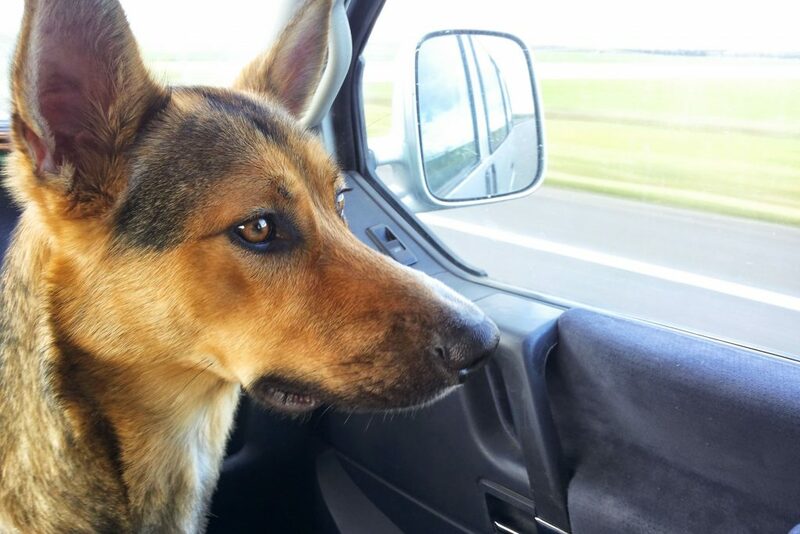 On this page they also provide tips for your pet-friendly drive. International travels: Only certain cars are allowed to travel overseas (find relevant FAQ and charges). 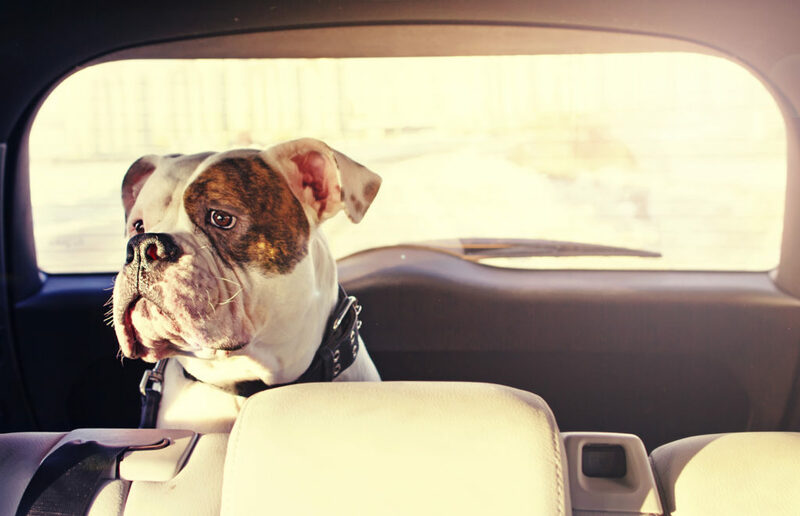 On Europcar vehicles you can bring pets previous authorisation as per their T&Cs. Europcar also published a post sharing their safety recommendations and tips. International travels: you must purchase a mandatory cover for crossing the border with your hire car (prices and conditions here). Enterprise’s hire cars are pet-friendly, although require that animals are kept in crates. Their FAQ for the international website reads: “Enterprise Car Rental is Pet Friendly: Pets are allowed in rental vehicles. Customers need to keep pets crated and return their rental car in clean condition and free of pet hair to avoid cleaning/detailing fees. Service animals used by customers with disabilities are allowed in the vehicle without a carrier.” We are currently confirming this is also valid for UK hires. International travels: Enterprise does not allow vehicles to travel outside the UK and Ireland (for the latter there is an additional charge). 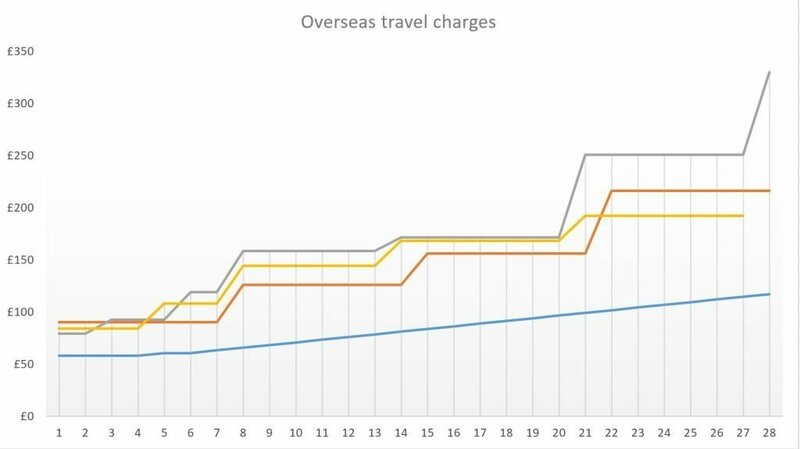 International travels: Easyrent applies a Green Card Cover charge and additional mileage charge for travels over a certain lenght for travels overseas. Also Green Motion’s terms and conditions includes a clause allowing pets on hire cars as long as contained at all times. It also has a clear cleaning fee policy. International travels: Green Motion’s policy for overseas travels is quite restrictive. Vehicles can travel to Ireland “or on the continent and France” with a surcharge and a mileage limit which applies to the whole rental. 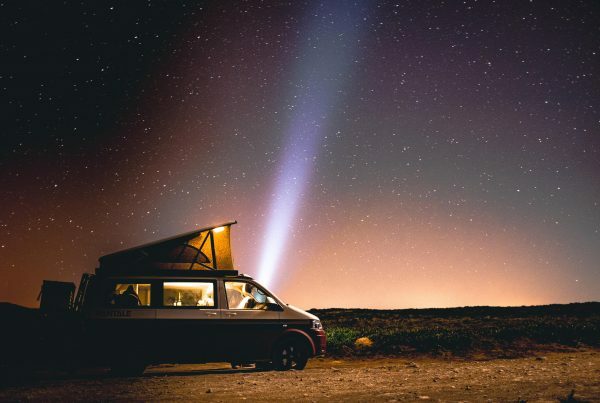 International travels: In case you wish to drive cross borders, you must inform Hertz in advance and conditions apply: there is a continental surcharge which varies on the ground of the number of days and additional rules. InterRent belongs to the minority not allowing dogs on their cars, unless they are assistance dogs (see point 24 of the T&Cs). If you look for the most convenient car hire, you can find a meta-search engine to navigate the options. While such engines don’t have a pet-friendly filter, you can use the information we provided above to guide your selection (just remember to check also the other applicable conditions when hiring a car). Kayak has an easy to use car hire meta-search engine, as well as Easycar (awin). If you don’t need a car for a long trip, but just to move more conveniently in town, an option is using a car sharing service, which saves you having to collect and return the car to a car rental, as in most cases you can find, unlock and hire a car near you with a simple app. Car sharing services can have their own fleet or be a peer-to-peer service, and dog policies differ depending from brand to brand. This is what we found out about them. 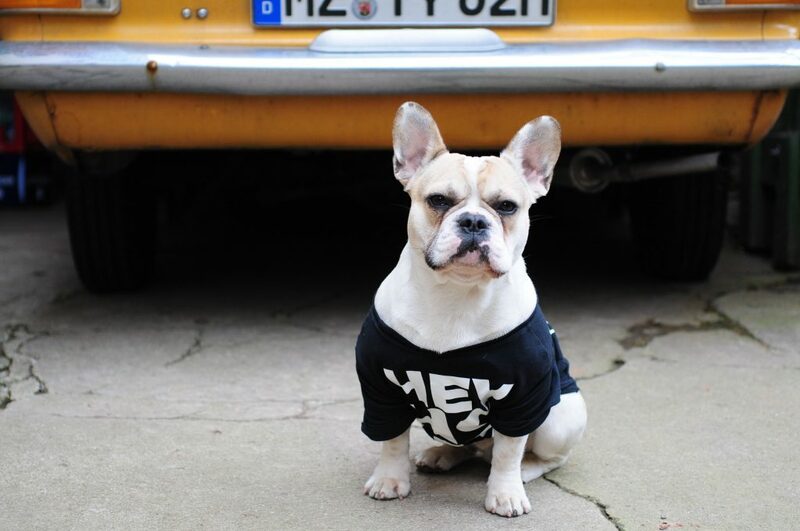 If you prefer a non-self-drive option, check out this post about dog-friendly taxis in London. DriveNow is another car sharing service with an own car fleet. As a general rule it is dog-friendly, as stated in their FAQ. “However, you are responsible for returning the car in a clean condition. If the car is very dirty inside, we reserve the right to invoice you for the necessary cleaning” (price list provided). Zipcar allows you to bring your dog in the hire car, on condition they are kept in pet carriers at all times. If you have a small dog who fits in a pet carrier bag it may not be an issue, but if you otherwise have a medium or large dog, then this rule may make it tougher, as you will have to bring a larger crate/carrier around to the car and will limit your options if you are far from home. A different service is Turo, which works as a peer-to-peer car sharing marketplace. Turo’s policy establishes that no animals can be carried in cars from local hosts unless with the authorisation of the host. To make your life easier in selecting a dog-friendly vehicle, their search function has a pet-friendly filter: after selecting the location and date in the home page and hitting search, in their search results page just click on “More filters” and then “Features” to find the pet-friendly filter. With Hiyacar you can hire a car from local hosts and the rule is the same as for Turo. 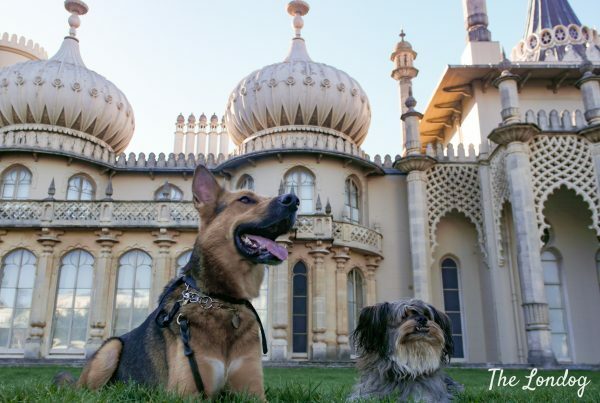 Their T&Cs provide: “Pets are not allowed in cars without the Owners explicit consent. If an Owner reports that a Driver has transported a pet without their authorisation, the Driver will be subject to the cleaning fee and Owner Administration Charge.” However, unlike Turo, Hiyacar does not have a pet-friendly filter at the moment, so you won’t be able to easily find a dog-friendly option. Ubeeqo is countertrend, as its policy provides that no animals are allowed in its cars at all, unlike the other companies checked. 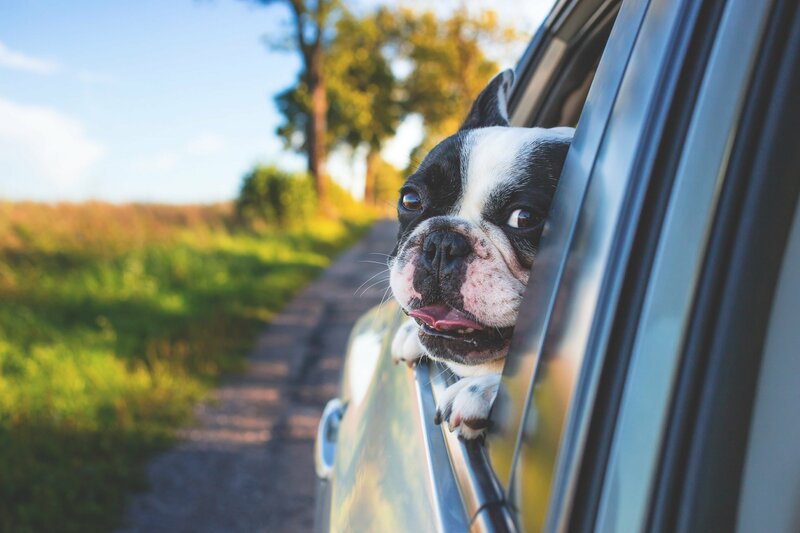 When bringing your dog in a hire car – like in an owned car, really – there are a few things to consider, to avoid unpleasant surprises: having some safety device for your dog, covering seats and surfaces, and thinking how you can protect your dog if you are travelling on a warm day. There are risks both for your dog and for you in case you have an accident and your dog is not properly secured. Researching the various options for this guide we came across an interesting research (unfortunately a few year old) about car safety devices for dogs: they car crash-tested a number of them, with shocking results.One would expect that these kind of devices offer a great protection for dogs in case of a 30 mile car crash. Yet, only few passed the test. It is pretty horrifying to see what happens to the test dog (don’t worry, a stuffed one) in certain cases, and this is definitely nudging us to look more into safety options. You can watch some videos on the Center for Pet Safety’s Vimeo channel and find more on their website as well as on Dogly here. Dog crate/cage. This is an option that we have used quite a few times when travelling to and from Europe mainland, but of which I am not personally too fond of, especially if you place the crate in the car boot. In fact, if by any chance you are involved in a car-crash/pileup, your dog won’t be able to move at all and if the crate is not crash-resistant things may end very bad for them. We travelled with the crate we had used for Argo’s only plane flight, and placed it in the back seat instead of the car boot. Pet carrier. Pet carriers differ from crates as they are made of soft materials and are much easier to carry. This may be a solution for a small/medium sized dog. If you use one, make sure you secure it somewhere to avoid it being ejected in case of car crash. Seat-belt harness. This may look as the best solution to be able to reach them in case of an accident and keep them safe and secured, but the car crash test videos we watched warn us about the effectiveness of many of them (check out this post and videos by the Center for Pet Safety). A con of seat-belt harness is that the dog’s movements are quite restricted and if you are going on a long trip it may be not the best for the dog. Dog guard. An alternative so they don’t “fly” into the windscreen, while this does not secure them in case of an accident. Keeping clean the car is a priority, especially if it is a hire car. To avoid the costly cleaning fees that car hires apply and saving you the time it requires to clean from fur an unprotected surface, best to cover seats and car boot surfaces as soon as you get the car keys. Argo normally travels in the carboot and we bought a reusable cover to avoid fur sticking to the car boot, which is very helpful. For those trips to the beach and muddy walks this is absolutely essential too. Since it is a hired car, no need to go for an expensive one or specific for a particular car, you can find some universal ones. We bought this one last year. Both when we owned a car, before moving to the UK, and when we hired one to travel to Europe for the holidays, we bought some car sun shades for the rear and side windows: we use air conditioning for the dog’s sake, but in Summer sun rays can still be quite hot, so this helps as an additional protection for Argo while on the road. 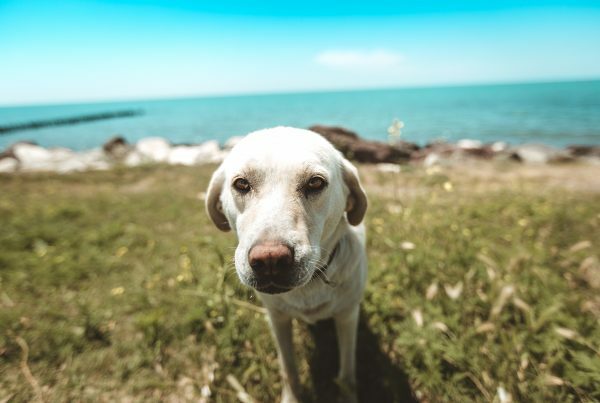 Remember that you must NEVER leave your dog in the car on a warm day (not just in Summer), not even for a couple of minutes, as temperatures rapidly increase and leading to a high risk of overheating and death for your dog. For similar reasons, you should also have water for the dog and take frequent breaks. In the Summer, we often travel in the evening or at night, when there are not direct sun rays and it is cooler for the dog.